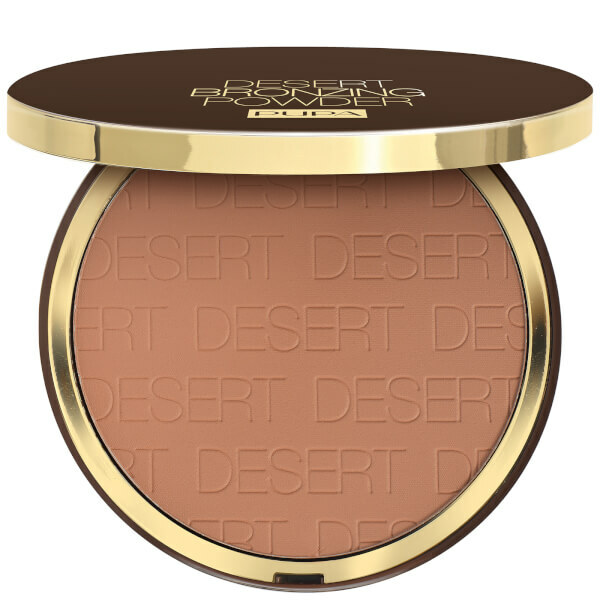 Dust cheeks with the PUPA Desert Bronzing Powder for a gorgeous, sun-kissed glow. The powdered bronzer delivers a silky smooth colour coverage that blends perfectly for a natural and even finish with a warm, matte tone. Perfect for contouring and adding depth, the long lasting bronzer can be built up and adjusted for custom results to suit all skin tones. Housed in chic compact ideal for on-the-go touch-ups.